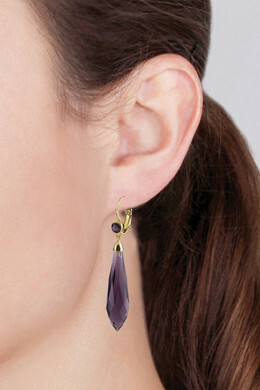 Beautiful crystal drop earrings with french hook closure. Perfect for a night out! 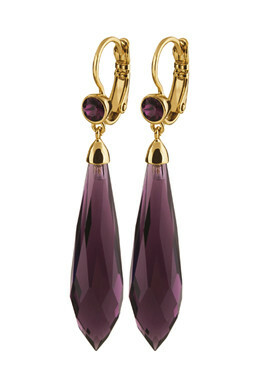 Shown here in a gold toned finish with dark purple crystals.